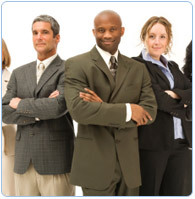 From ExpertRating equips your employees to handle any complex issues they face & achieve organizational excellence. Certified Project Managers earn much more than their counterparts. Project Management Course leading to Project Management Certification offers a unique opportunity to get yourself established as a certified Project Management professional from one of the leaders in online skill testing and certification. With accelerated schedules driving many technology projects today, the smart project manager must rapidly retool their skill set. ExpertRating ranks within the top 0.01% of the websites in the world in terms of traffic and popularity according to the Alexa Rankings. ExpertRating is one of the world's only ISO 9001:2008 Certified companies (from TÜV America) offering an ExpertRating Online Project Management Course (leading to ExpertRating Project Management Certification). This course offers a breakthrough model for dealing with the realities of managing projects at supersonic speeds. Learn to meet and win the challenges of truncated timelines, short-staffed project teams, skimpy budgets and crippling risks. For taking this online Project Management Course you need Internet access, e-mail, and the Microsoft Internet Explorer or Mozilla Firefox Web browser. 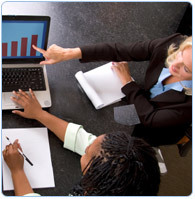 Why is ExpertRating offering this Project Management certification at such an affordable price? The ExpertRating Project Management Certification is being offered at a time limited special offer price. You can make the most of the offer pricing as it is due for revision shortly. The in-depth Project Management courseware includes all the tools, techniques and concepts related to project management and has been developed keeping in mind the requirements of the PMP certification from the Project Management Institute. Which of the following statements are true about the scope statement of the project? Which of the following are cost estimating tools? What are the main activities involved during closure of a project? Which of these is not a cost of quality? In the SWOT analysis, which are the external factors affecting the project? The final exam is fully based upon the ExpertRating Online Project Management Courseware that is provided along with the Project Management Certification. If you have gone through the courseware properly you should not have a problem clearing the exam. The exam consists of multiple choice questions from all chapters of the ExpertRating Online Project Management Courseware. The process of getting yourself certified is very simple. All you have to do is buy the ExpertRating Project Management Certification for . Log in to your ExpertRating account using your password. Go through the Project Management Courseware (which could take you from 1 week to a month depending upon how hard you work & your level of experience) and take the certification exam at your convenience. You can take the exam within 1 year of buying the certification. The result of the exam appears as soon as it is completed, and your certificate is mailed immediately. 24 x 7 access to the ExpertRating Online Project Management Course. ExpertRating Project Management Certified Professional course can be accessed as soon as your payment is processed successfully and you can complete your Project Management Certification within one year of enrollment. 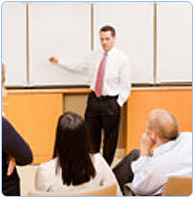 The FAQs attempt to answer most questions related to ExpertRating Project Management Course. Scroll through the list and click on any question to view the answer. To know more about ExpertRating and its certifications, please visit the General FAQs page. How much does the Project Management Certification cost and what does it include? You can buy this ExpertRating Online Project Management Course leading to Project Management certification at a special offer price of only which includes the in-depth ExpertRating Online Project Management Courseware and exam fee. 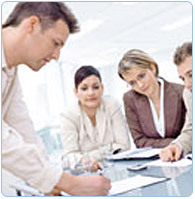 This is the best value for money Project Management Program available till date. You get the following services within the USD fee. Worldwide airmail delivery of the hard copy Project Management certificate. The certificate can be used to prove your certified status and does not mention the word "online". ExpertRating.com is one of the world's only ISO 9001:2008 certified companies (from TÜV America) offering an online Project Management Certification. ExpertRating is a trusted name in online testing and certification with over 200,000 certified professionals in over 160 countries in more than 100 skills areas. According to the U.S. Bureau of Labor Statistics, the employment in this area is expected to grow by 17 percent through 2018, which is faster than the average for all occupations. The Bureau notes that the reason for this projected growth lies in the fact that the amount of work being carried over computer networks has increased manifold and security has become an important issue, thereby creating the need for more computer managers. Similarly, construction managers will be needed as the level and variety of construction activity expands. With job prospects looking bright for project managers both in computer and information systems and construction, this is indeed an opportune time to become a project manager and reap the benefits that a well-directed and dedicated effort can bring. The ExpertRating Six Sigma course (leading to certification) is a well researched 250 page online course that has been developed for people who would like to master the science of Six Sigma. The course has been designed so that it is easily understood by beginners and people new to Six Sigma apart from seasoned project managers. Payscale.com real time salary surveys conclude that Project Managers with a Project Management Certificate earn a median salary of as high as $84,000 in the State of California with other states not far behind. The importance of certified project managers is set to become far more important in the times to come as projects become more complex with increased time and cost constraints. When you choose the ExpertRating Online Project Management Course, you can be sure that you are buying a premium international certification that is recognized by hundreds of private employers and government bodies in the US and other countries. The ExpertRating Project Management Certification is your 'best value-for-money' option for enrolling in a Project Management Program. Payments can be made using all major credit cards or PayPal. All payments are through secure online transactions. ExpertRating is a PayPal verified seller with over 200000 sales through PayPal. With the ever increasing requirement of executing projects in almost every industry, the role of the Project Manager has become all the more important. Certified Project Managers are one of the highest paid and most sought after professionals today. This site is US friendly - Hosted in the US - Payments in US Dollars - Payments received in the US through a US based payment processor.  What is Project Initiation?  What is Scope Management Plan?  How to Manage a Team? "The course was stimulating and has equipped me with tools which I will immediately apply to projects I have coming up and in my review of a project I just finished." "I liked the course because it was taught from years of experience which gave an in-depth perspective 'from inside the trenches'. That is exactly what I needed." "This is an excellent course. I have taken several courses in Project Management but this is the first that addresses risk assessment. I have learned a lot while taking this course and have already implemented some of the techniques I have learned in my current project. My team has commented they like these new changes." "I gained valuable details through this course, and I intend to use the same to become a successful Project Manager." "Very good course, I was able to apply all the lessons to my current assignments at my job." "On the whole, the course was well thought out and presented. I particularly liked the specific methodology presented for various project functions." "As a Project Manager myself, and soon to open my own Alaska Native Project Management small business, this has been a great help. Good job." "I have taken 1-3 day seminars and classes, but I don't think I learned as much in those multiple sessions combined as I did in this course. Thanks!"